Baseline Sports Construction has the technical knowledge and quality products to provide you with a court that is hard to match. Baseline designs and builds not only hard courts, but also clay tennis courts. We utilize an underground plumbing system called sub-irrigation, which is a system of valve-controlled reservoirs under the clay material. The clay playing surface wicks the moisture like a sponge and keeps the surface moist for better brooming, rolling and general playability in all types of weather. 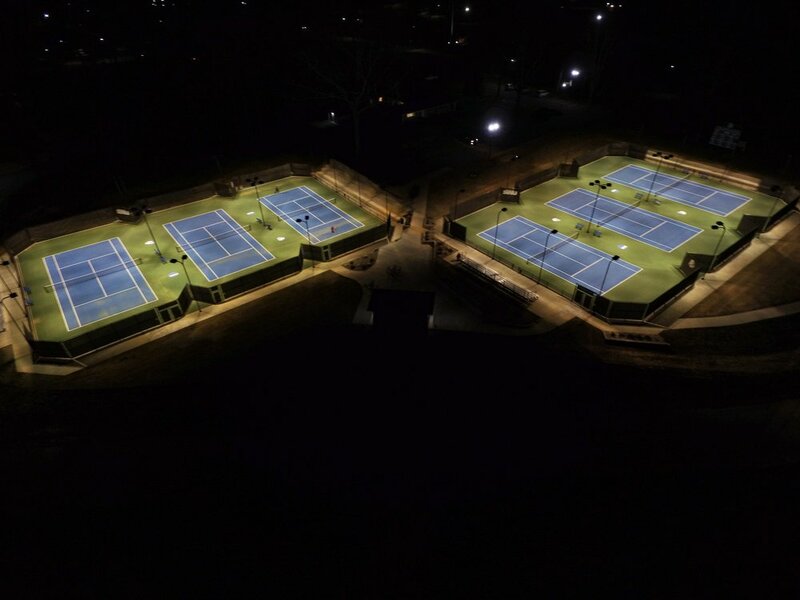 Whether you are interested in building a new court or resurfacing an existing court, Baseline can get the job done efficiently and professionally. We can install courts for residences, subdivisions, apartments, country clubs, parks, universities, as well as indoor facilities. Baseline has the technology to meet your design, construction, and renovation needs. Our membership in the American Sports Builders Association is indicative of our commitment to our work. In addition, Vice President David Clapp has been recognized by the ASBA as a Certified Tennis Court Builder.